NowSMS supports a wide range of SMS and MMS protocols, and simultaneous connectivity to multiple SMSC and/or MMSC connections. For detail of supported protocols, see our SMS & MMS Protocols page. Some of the key features of NowSMS are detailed below. For a better understanding of how customers use NowSMS, please see our Why NowSMS? page. Supports SMS connectivity via one or more GSM modems (or GSM phones connected to a PC serial or USB port), or over TCP/IP connections using SMPP, UCP/EMI and/or HTTP protocols. Supports least cost routing with pattern matching to route messages to different SMS connections based on destination. Supports sending and receiving MMS messages either via direct SMS/WAP delivery with its built-in MMSC, or can interface to operator MMSCs using the MM1, MM4 (SMTP), MM7 (XML-SOAP based HTTP POST API) and/or EAIF (Nokia proprietary API) protocols. The MM1 interface can talk to an operator MMSC over a GPRS/GSM modem without a special operator account. Supports easy generation and delivery of MMS messages, and includes an MMS compiler for generating the binary headers and message formats required for MMS content. 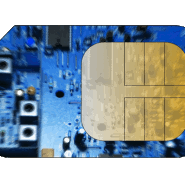 Includes a powerful MMSC for processing MMS messages, supporting OMA MMS versions 1.0 thru 1.3 and 3GPP MMS versions 5.3.0 thru 6.13.0. The MMSC supports dynamic content adaptation and content conversion to help simplify the process of delivering MMS content to devices with varied characteristics. The MMSC also includes a built-in SMTP e-mail gateway for bi-directional exchange of messages between MMS compatible devices and internet e-mail recipients. Supports the MM1, MM4, MM7 and EAIF protocols to allow applications and Value Added Service Providers (VASPs) to send and receive MMS messages via the gateway. Supports Unicode (UTF-8) formats for both SMS and MMS messages, enabling deployment in multilingual environments. Supports easy generation and delivery of WAP Push messages, independent of the WAP gateway being used. Supports Multimedia WAP Push to simplify the delivery of multimedia objects and Java applications via WAP Push. Supports (“Over The Air”) configuration settings and bookmarks, including support for the Open Mobile Alliance (OMA) Provisioning Content v1.1. Supports 2-way SMS for automatic SMS reply and interactive application development. SMS messages received by the gateway can trigger either an executable program to be run, or an HTTP request. Simple text responses back to the user can be returned as output of the request. More complex responses, including MMS or other binary SMS content, are also supported. Supports 2-way MMS for interactive multimedia application development. MMS messages received by the gateway are parsed into individual file components that can be easily processed by a user supplied tools. For example, received MMS images could be automatically posted to a web site. Includes an SMPP server, simplifying the process of connecting multiple gateways and applications. Provides an SMTP interface with SMTP Authentication support, allowing a user account to login via SMTP with an e-mail client to submit bulk delivery of SMS or MMS messages. Supports sending of other binary SMS formats, including EMS, ring tones, etc. Supports concatenated SMS for SMS text messages longer than 160 characters and Unicode text messages longer than 70 characters. Supports easy generation and delivery of new voice mail notification messages, simplifying the integration of office voice mail with mobile voice mail. Supports Open Mobile Alliance Digital Rights Management (OMA DRM) v1.0 with support for forward-lock, combined delivery and separate delivery DRM message types.